Watch out, parents, because there’s a new dangerous teen trend on the rise: It’s called “Worrying That Donald Trump’s Supreme Court Nominee Will Overturn Vital U.S. Civil Rights Decisions,” and studies show that more and more teenagers are taking part in it. 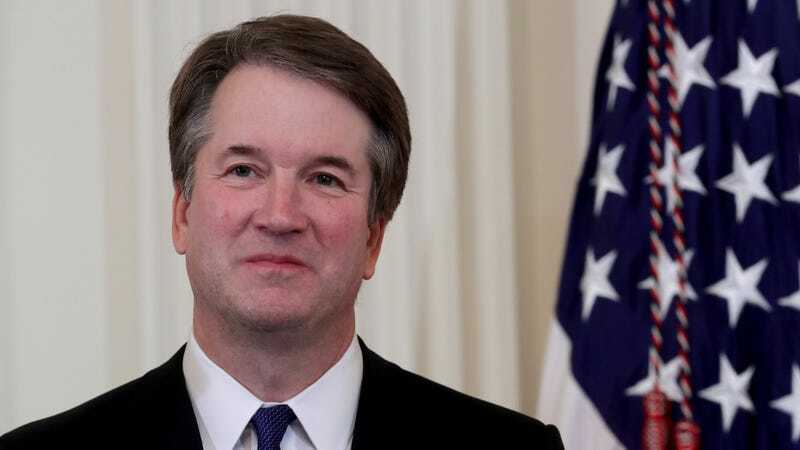 According to recent studies, as many as one in three teenagers reported being existentially concerned with Trump’s Supreme Court nomination of Brett Kavanaugh and his effect on voting rights, racial discrimination, and abortion in America. Experts say that the dangerous fad has negative effects on the well-being of adolescents, who are often choosing to become extremely anxious about circuit court judge Kavanaugh’s impending confirmation at all hours of the day and night, which has a negative impact of their schoolwork and sleep patterns. It you’re the parent of a teenager, it’s important for you to look for the signs that your son or daughter might be participating in the dangerous fad of desperately fearing the end of American democracy. Have you seen your teen just looking at their phone, saying, “Oh my god, oh my god, it’s so bad”? Have you noticed them spending increasing amounts of time online, reading message boards that will elaborate just how easily Roe v. Wade could be overturned? If so, then your teen might have recently been convinced by one of their peers to fit in with the “cool kids” by submitting to a crippling fear regarding the future of civil rights in the United States. Teens are also reportedly meeting up after school to speculate about possible dystopian political futures. So keep track of where your kids are after class lets out, because it’s possible that they’re associating with other kids who might be encouraging them to spiral into a deep depression over widespread voter suppression and institutionalized misogyny. Be vigilant and talk to your teen about this hazardous trend ASAP!